Headquartered in Brentwood, Tennessee, A Clean Slate with Cindy is a family owned and operated cleaning company that services the Greater Nashville area. Unlike other cleaning companies, our staff adjusts cleaning needs based on individuals and their homes and needs. Our goal is to provide quality cleaning services with extras that you are not typically provided by our competitors. Maid Cleaning Nashville was created with only one goal: Cleaning homes and creating a spectacular experience. 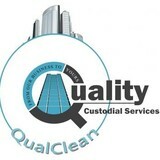 We specialize in all house cleaning, maid service, and residential cleaning services in Nashville. You will get the best house cleaning experience in Nashville, with an amazing green and eco-friendly maid service in Nashville. We also offer a 24/7 online booking process on our website. In about 60 seconds or less, you can schedule a professional cleaning service entirely online. Hope Building Restoration has been voted the best carpet cleaning service provider in Nashville TN. Hope Building Restoration specializes in providing Janitorial service in Antioch TN, House cleaning service in Nashville TN, Carpet cleaning service in Murfreesboro TN, Pressure washing service in Brentwood TN, Air duct cleaning service in Madison TN, Commercial cleaning service in Smyrna TN, Upholstery cleaning service in Goodlettsville TN, Building restoration service in Nolensville TN. We also have been recognized as the best Janitorial equipment supplier, Cleaning products supplier and Cleaning products supplier in Antioch TN and surrounding areas. Our business is our livelihood but it is also so much more. Quality Custodial Services Inc was started to fill in a void in the current market and to make a business that the people of Pembroke and surrounding areas can place their trust in. Over the years we have never lost our commitment to our clients and that is what has allowed us to succeed in a very competitive industry. We stand committed to our purpose as we stand committed to the people of Pembroke and surrounding areas. Nashville Plumbing is here to serve the occupants of Nashville and encompassing networks. 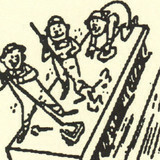 wemay deal with cleaning services, drain services, leakage services. Download the app & get help fast with chores, lessons & small jobs. Now available in Nashville, Chattanooga, and DFW. Thousands of Providers are ready to help you Takl your to-do list all from the palm of your hand. Categories include Auto & Boat, Electronics, Handyman, Haul Away, Home Management, Housekeeping (Cleaning), Move (Same Site), Music, Professional Services, Sports & Fitness, & Yard Word (Lawn Care) Customer Care is available 7 days a week. Sara's Cleaning Service specializes in vacant property cleaning and specialized deep cleaning. Are you a tenant who is moving and would like your deposit returned or need to pass inspection and you just don’t have the time or energy to clean? Are you a landlord or a property manager with a vacancy and you need your property restored to a spotless rent ready condition quickly and easily? Or maybe, you’re an active, busy family and your house really needs a good spring cleaning; however, you would rather spend your weekends at the lake, enjoying the weather instead of cleaning up the remains of a long cold winter. Sara's Cleaning Service offers affordable and professional residential and commercial cleaning services to meet all your cleaning needs. I specialize in: Make Ready Cleaning – Move In/Move Outs – Restoration Construction and Remodel Clean Up Residential Specialized or Detailed Deep Cleaning Office and Business Cleaning Vacation Rentals and Airbnb Cleaning I am a very detail oriented, self-starter and have over 10 years of professional cleaning experience working in both residential and commercial settings. I am results driven individual with a strong work ethic and take pride in a job well done. . All services can be customized and I am confident I can meet or exceed any expectations. It is my goal to become Nashville's leading move in/move out cleaning service. We're a family owned business. We grew up Amish in Michigan and moved to Nashville 3 years ago. The Nashville community has been great to us. Platinum Window Cleaning truly understands your needs, whether you live in a studio apartment, a 20K sq/ft home, or the office where you work. Nothing is more important than knowing the company you hire brings skill, reliability, trustworthiness to the table. With years of experience in residential and commercial window cleaning, and gutter clean-out, we are confident you will experience unprecedented workmanship, professionalism, and uncompromising integrity. What should I expect from a house cleaner in Nashville, TN? Most professional Nashville house cleaning services will do the same tasks for a basic residential cleaning job: clearing dust and cobwebs from all surfaces and fixtures; wiping all surfaces, including sinks, tubs, counters mirrors; cleaning tile; vacuuming and mopping. You may want to have different rooms detailed at different times, so ask about doing a rotating schedule if you want them to pay extra attention to each space (like kitchens and bathrooms) every other cleaning. Some house cleaning companies in Nashville, TN will also offer additional services such as window washing or appliance cleaning, so ask about incorporating them into your deal or doing them as a one time thing if you’re interested. Pick up any clutter (laundry, toys and other gadgets) and put pets in a secure spot so they feel safe and don’t get in the way of the Nashville house cleaning company. Put out any specific cleaning products or tools you want used, and make sure to lock up any valuables that you don’t want disturbed. Most housekeeping services in Nashville, TN will enter with a spare key or garage code, but if that isn’t something you’re comfortable with then you should arrange for them to come when you are home to let them in. Typically Nashville house cleaners expect payment at the time of cleaning, so ensure you have the appropriate form of payment (cash, check or credit card) on hand, plus a little extra for tip if that’s your style and they do a great job. 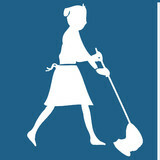 Find Nashville house cleaning services on Houzz. Narrow your search in the Professionals section of the website to house cleaners in Nashville, TN and contact local companies to ask questions and get quotes.